Members of the intrepid and fearless crew teamed up with Cran, owner of the "Stealth Narrowboat, to assist with the latest daring mission. 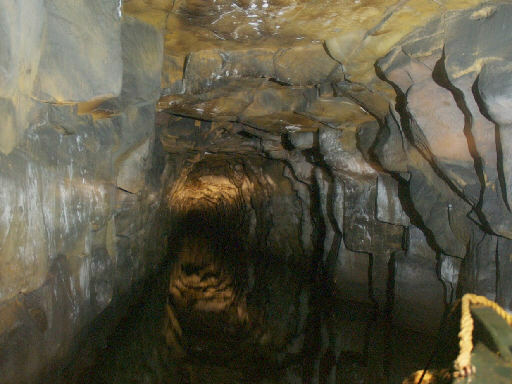 They elected to attempt the transition of the worlds longest deepest and highest canal tunnel, the feared Standedge Tunnel, being 5,029m long (3.25 Miles). 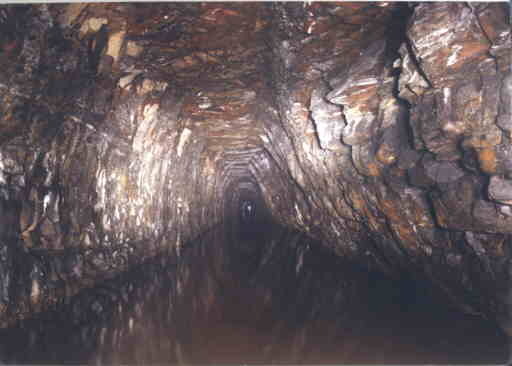 Opened in 1811, having taken 17 years to build, at a cost of £123,804, the tunnel formed an important link across the Pennines. 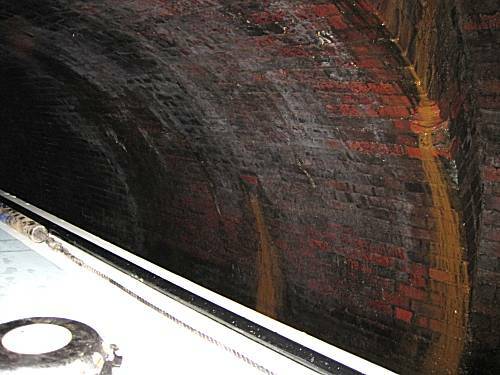 It officially closed in 1944 and left to deteriorate, when after a multi-million pound refurbishment, it re-opened on the 1st May 2001 to just a few brave crews prepared to take the not inconsiderable risks. 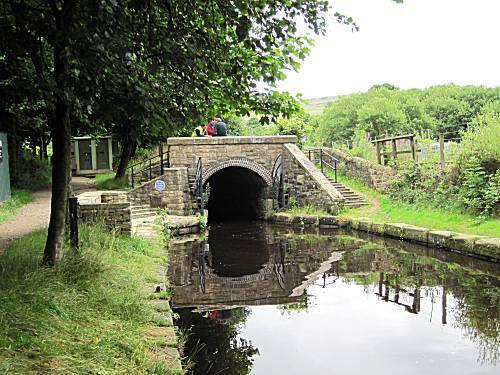 Neil and Alan elected to travel to Marsden by train and walk to the tunnel portal to minimise any unnecessary stress. Cran was waiting for the crew in the Narrowboat Stealth having previously brought it up some 60 locks in time for the booked passage. Cran carefully prepared special 'tunnels sustaining' sausage butties for the crew, which were greatly appreciated. All the British Waterways staff were impressed at courage shown by the crew in attempting such a dangerous mission. 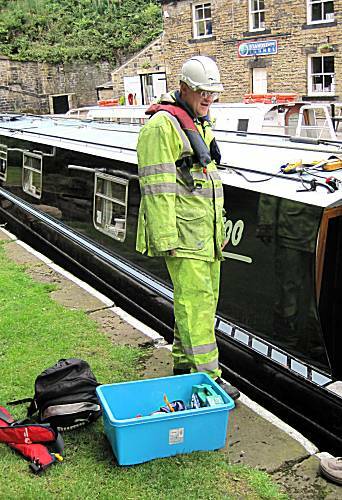 Trevor, a British Waterways engineer, came on board with a box containing all the necessary safety equipment - Hard Hats, Gas Monitoring alarms, emergency radios, life jackets, etc etc, which might be needed for the mission. 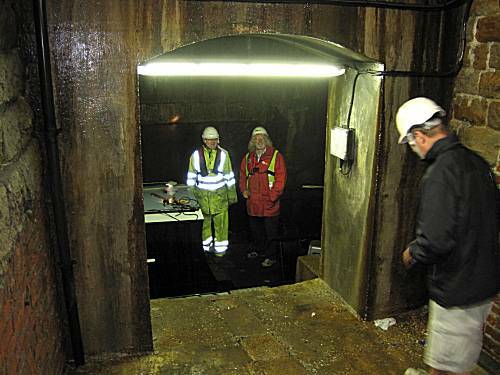 However, the crew were confident of their skills and this was soon recognised by the British Waterways team. 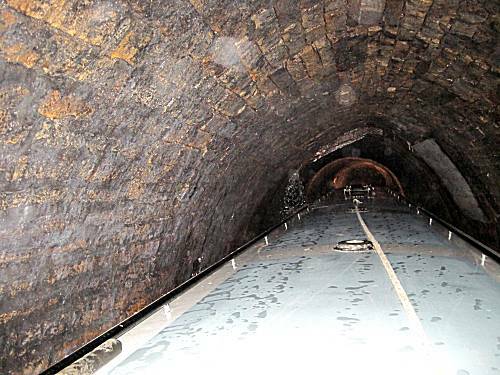 Trevor, authorised the mission to commence and the narrowboat gently entered tunnel, with the crew realising that they were unlikely to see daylight again for maybe 3 hours. 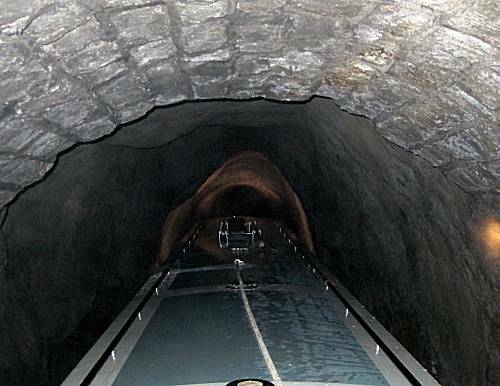 Due to the incredible risks involved, British Waterway dispatched another engineer in a 4 wheel drive pickup truck to monitor the progress from the adjacent railway tunnel. 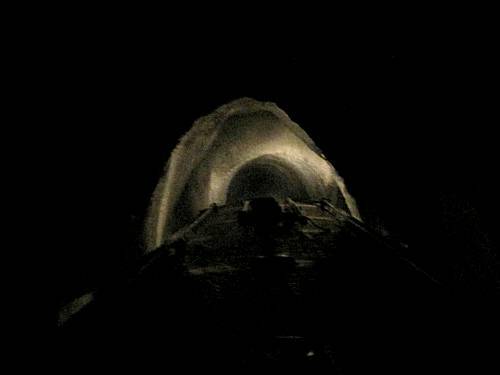 The crew looked back to the tunnel entrance secretly wondering whether this would be the last time they might ever see daylight and their loved ones, anxiously waiting at home for news. 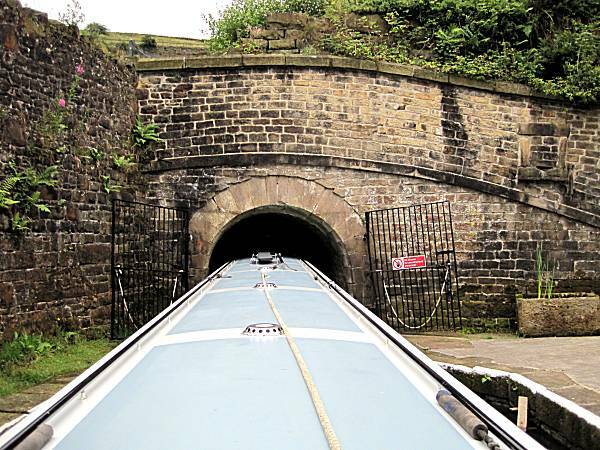 Cran battled with the tiller to ensure that the narrowboat followed the twisting tunnel route, narrowly avoiding the dangerous bulkheads and obstacles. 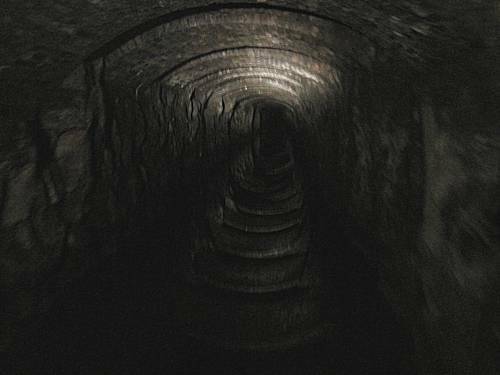 As their eyes adjusted to the difficult conditions, they became acutely aware of the enormity of their challenge they had undertaken. 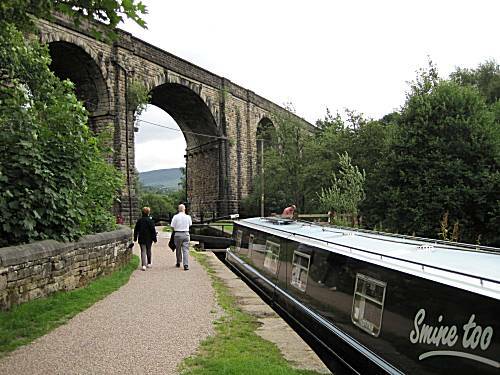 A moment's lack of concentration could easily cause the narrowboat to collide with the rocky wall with devastating consequences. 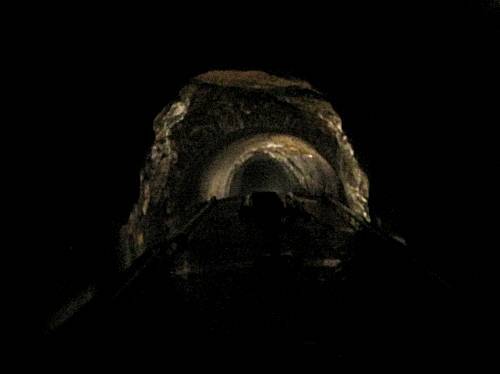 Soon the height of the tunnel reduced and crew were thankful that they were wearing hard hats in the darkness. The British Waterways staff could not believe that the narrowboat had arrived at the emergency halfway point in such a incredible time. 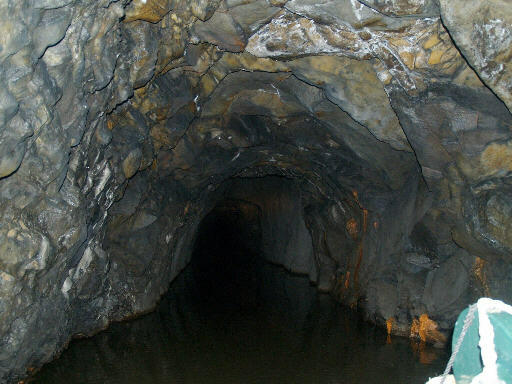 They invited the crew to moor in the centre of the mountain to join a reception party, in their honour, where they were each awarded certificates. However, after a 5 minute break to let the engine cool they were anxious to continue their record breaking journey. 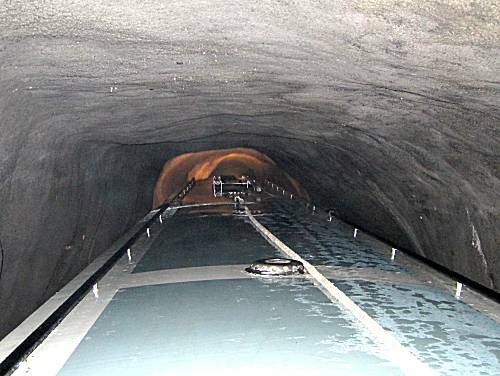 The second half of the tunnel proved no easier than the first and therefore Neil elected to take the tiller. 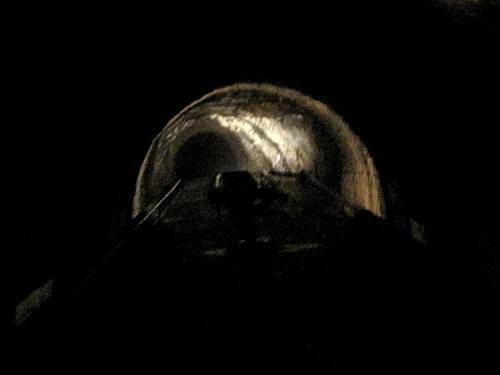 After only 1 hour and 15 minutes the end of the tunnel and daylight could clearly be seen in the distance. The spirits of the crew were greatly lifted as they realised that success was within their grasp. However, they were aware that a disaster could yet still occur. 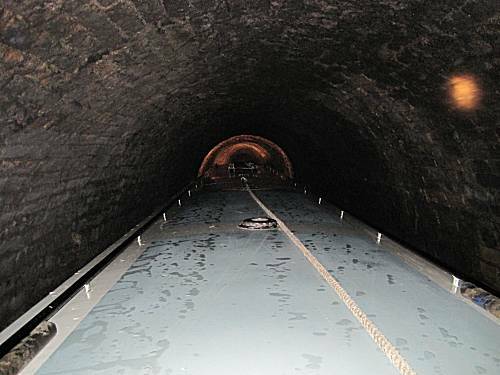 To the amazement of the British Waterways staff, Narrowboat Stealth emerged from the western portal of Standedge Tunnel in a mere 1 hour 20 minutes. A statuary rest period followed, whilst the elated crew signed autographs for the large crowd that had gathered. 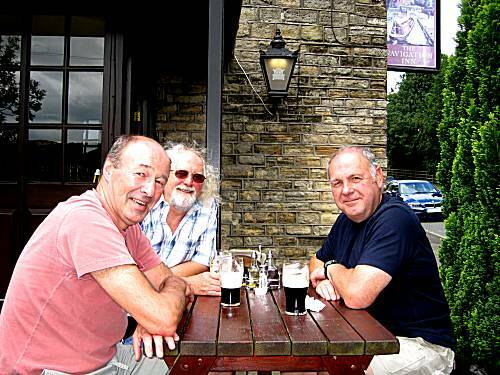 The crew felt need to visit "The Navigation Inn" to enjoy lunch, with a few beers, as they exchanged their recollections and debriefed on their momentous journey. 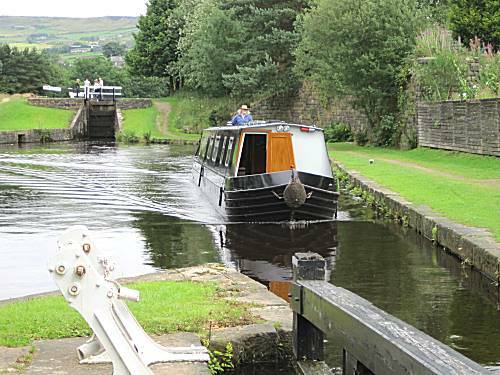 After lunch the crew filled the narrowboat with water and continued through picturesque town of Uppermill, before mooring in a small marina at Greenfield. 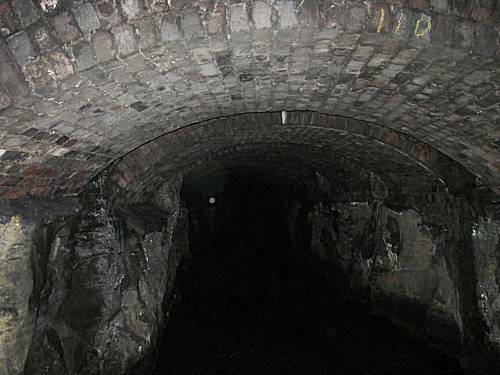 After dinner at The Clarence, Neil and Alan bid Cran farewell as they headed to the railway station, knowing that only a few weeks would elapse before they start another dangerous and as yet unknown mission on the "Narrowboat Stealth", commencing 4th September.